Why you plan a vacation? The answer is obvious-to take a pause from the routine life and explore something amazing things in a new place or spend quality time with your loved ones. Typically, every traveler wants to maintain a long distance with their day-to-day stress and anxiety for a while. However, travel stress is a feeling that is mental strain happen because of traveling. There are countless reasons and benefits of traveling across different countries, but travel stress can negatively impact your vacations. Well, you cannot stay pre-planned for every possible scenario that could happen in your trip, many restless travelers suggest that every traveler should be at least prepared for common problems to feel more secure. Are you afraid that change in climate or change in water will lead you to sickness? Purchase all the required medicines. Are you afraid of losing your passport? Keep a lot of photocopies of your passport along with other ID proofs. Wild travelers just reach their destination and go with the flow, but anxiety travelers usually have a plan routes for every location. But always remember, while planning if you find that you have to rush from one location to another, then it is not planning routes, it is over-scheduling yourself, which can add more stress to you. All the stressed travelers prefer to pack a night before their flight, which adds more to their stress-level. Packing in hustle will take you nowhere, instead, prepare a list of items that you want to carry 4-5 days before the departure, and then you can pack all the required items. When you feel stressed or anxious about the place, go to the flash back when you planned for this trip. Remind yourself all the positive things enabled you to choose the place, visualize all the places you want to visit and adventures that you wanted to take up. If you are very much anxious kind of person, you can visit therapist that can help you cope up with your situation and leave some positive impact on you. You can do yoga or mediation to release your travel stress, which can be accomplished in your hotel’s fitness center. If your mind is getting blown thinking that your plane might crash, then divert your focus by not looking out of the window and spend time watching funny movies or listening to music. Whether you are going on a family trip or your family and friends are on the other side of the phone, you can talk to them to feel stress-free from minor panics. Imagine yourself in a positive, safe and good environment. This is a powerful remedy for anxiety travelers according to doctors. Anxious travelers don’t breathe peacefully. It is recommendable to breathe relax fully by taking in oxygen in every five seconds through your nose and releasing it in every ten seconds out of your mouth. Although, stress and anxiety can rise in your travel experience, especially, if you are on tours to India – a country overflowing with diverse people, culture, and religions. But there are many ways to reduce travel stress in such crowded countries as well. Keep in mind that your motto behind traveling is to feel relaxed, capture beautiful moments, and collect memories from every place you visit. So it is worth the challenge! Shobhit Kumar is a passionate Traveler. He is currently working with India Holiday Mall. 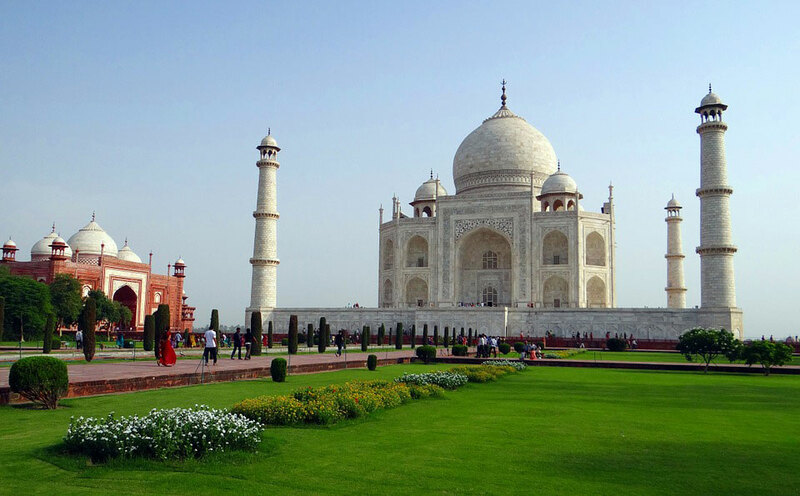 One of India’s leading online Indian holiday destination, offer holiday packages such as Tours to india, Golden Triangle Tour India, South India Tour, Luxury Tour India , Pilgrimage Tour to India , Wildlife Tour India , Rajasthan Tour Packages, Nepal Tour Packages , Bhutan Tour Packages and many more.